We did an amazing trip of Greater Himalayas crossing 7 Worlds highest motorable road and did some crazy adventures, all thanks to Ladakh tour organised by Renok Adventures – the great adventure company. We all reached Manali on 16th July morning the date to begin the Jeep Expedition. We had a breakfast n got fresh in hotel. We loaded our luggage in our jeep Qualis, our driver Mr. Tule Ram is an awesome driver this was my second trip and I can trust him with my life on curvaceous and tricky mountain roads. We started around 11 and our first big stop was Marhi where we did first adventures activities Paragliding. 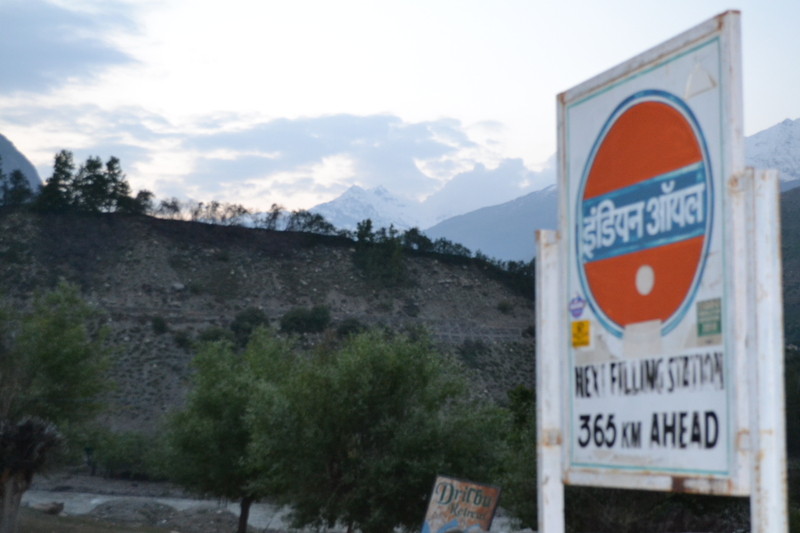 Marhi is a small stopover on the way to Rohtang Pass (14000 Ft), We negotiated a deal for 7 of us to do Paragliding. Yugantar had a small misadventure, his take off was not proper so he slid with the parachute for some distance. He had small bruises on hand and leg. After doing paragliding we set cross Rohtang Pass our first high altitude pass. There was 8 to 11 ft of snow on both side of the road. Rishin was fully charged up at this point of time he didn’t know what is coming in next few days. After fun n masti at Rohtang top we started again and stopped at Khoksar for Lunch. We had awesome Rajma, Dal, Mutton and Rice. Kokhsar is the first village on this route in Lahaul and Spiti region of Himachal Pradesh. Here one need to stop to get police work done. Our plan was to stay at Sarchu but we got late so we will be staying in Keylong today. Our driver paid the homage to Raja Ghaipan at Sissu and we filled diesel in Tandi which is the last Petrol Pump on this route and sign clearly says next petrol pump 365 KM ahead. We stayed in a hotel with nice view had sumptuous dinner and slept. Morning the view was amazing. Morning we started early around 6 AM after a good tea and stopped at Darcha for breakfast. Today was the toughest day of the entire journey, four of the world’s highest passes, 350 KMs and road conditions (You can say No Roads) were bad. First pass came Baralacha La at the height of 4980 metres. The steep ascent to Baralacha La start at the place called ZingZingBar, One who loves to drink barely misses it and there is a bar by the same name in Manali. This pass connects the Lahaul district of Himachal Pradesh to that of Ladakh. The Bhaga river, a tributary of the Chandrabhaga or Chenab river, originates from Surya taal lake, which is situated a few of kilometers from the pass towards Manali. The other major tributary of the Chandrabhaga, the Chandra also originates from glacier in this region. Both the rivers originates from the two sides of the pass and meet to become Chandrabhaga River and the same river becomes Chenab entering Pakistan.